This was a road bike that I had been working on for the past few months. the frame is now complete and is slowly being built up (the landscape is covered in snow.... so no need to rush.) Here are a few photos of the build process that I happened to document. Hopefully I'll be more thorough about my documentation in the future. 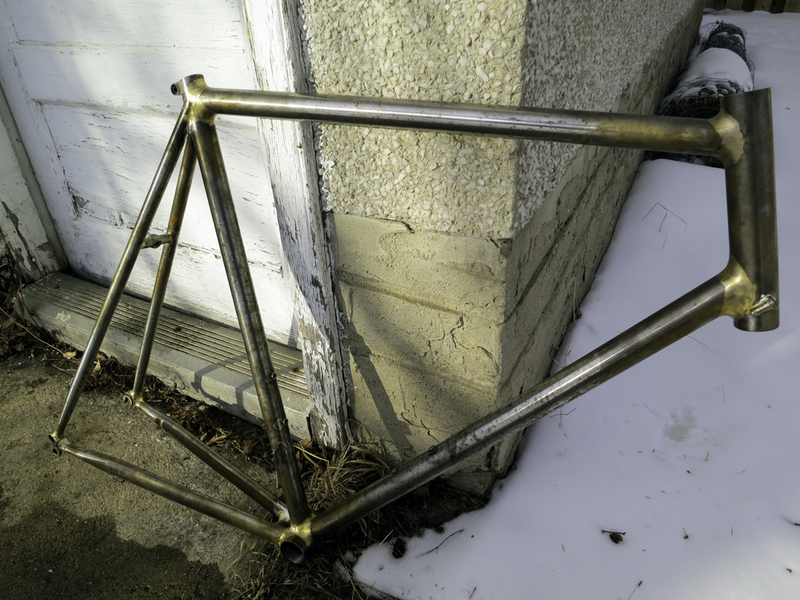 Photos of the frame post-powder coating will follow. All content copyright Scott Orjala 2015 unless otherwise noted.